While eyeglasses or contact lenses can provide crystal-clear vision correction, they simply may not appeal to you for whatever reason. Maybe you don't relish the thought of constantly cleaning them or protecting them against damage; maybe you don't like wearing these corrective devices on your nose or putting them into/taking them out of your eyes. You might be an ideal candidate for the permanent corrections offered by LASIK surgery -- and your West Des Moines eye doctor, Dr. Michael Lock or Dr. Jenessa Lock, can provide necessary support for this procedure. 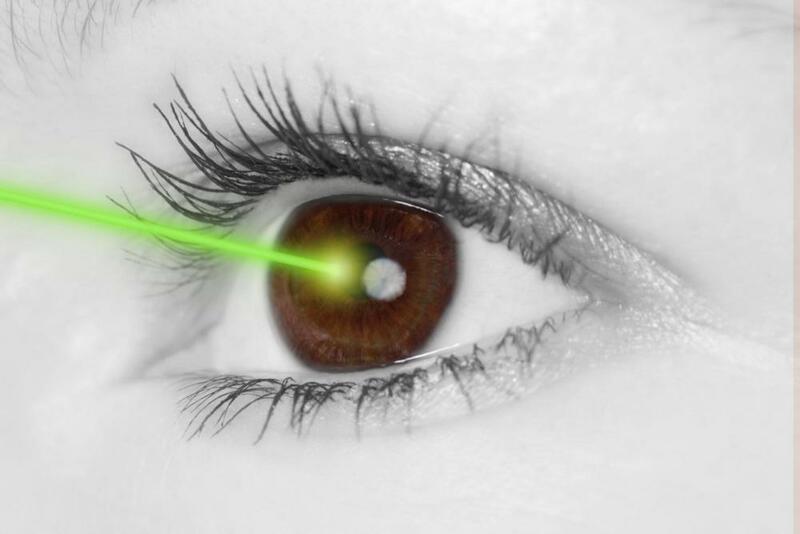 LASIK eye surgery (laser-assisted in situ keratomileusis) is a state-of-the-art corrective procedure that alters the shape of your corneas so they can provide optimal refraction without the aid of corrective lenses. A tiny hinged flap is made in the outer layer of the cornea so the inner corneal tissues can be exposed. The laser then trims away extraordinarily tiny bits of the underlying corneal tissue, reshaping it according to your corrective vision prescription. The outer tissue is then moved back into position, where it will heal up without stitches. The entire surgery itself usually takes only a few minutes per eye, although you may be there longer for evaluations and preparations (including numbing the eye before surgery). The end result should be clear vision that lasts for many years or even a lifetime. Even if you can't get LASIK, you might still be able to receive other forms of refractive surgery. For example, if your corneal tissues are thin we may recommend PRK or LASEK surgery instead. LASIK can produce remarkable improvements in your vision almost immediately, but even this minimally-invasive procedure requires a recovery period. Our post-op LASIK care includes follow-up evaluations, beginning the day after your procedure, to monitor your visual acuity and tissue healing. Multiple visits with your West Des Moines eye doctor during the first six months after surgery can ensure that all is well. If any side effects or complications occur, we can recommend the right course of action to help you enjoy a more satisfactory outcome. Need a West Des Moines or Waukee Optometrist for LASIK Co-Management? If you're looking for a West Des Moines or Waukee optometrist who provide pre-op and post-op LASIK care, you've found two of them right here at Lock Family Eye Care. Call (515) 267-1312 to schedule a LASIK eye surgery consultation today!